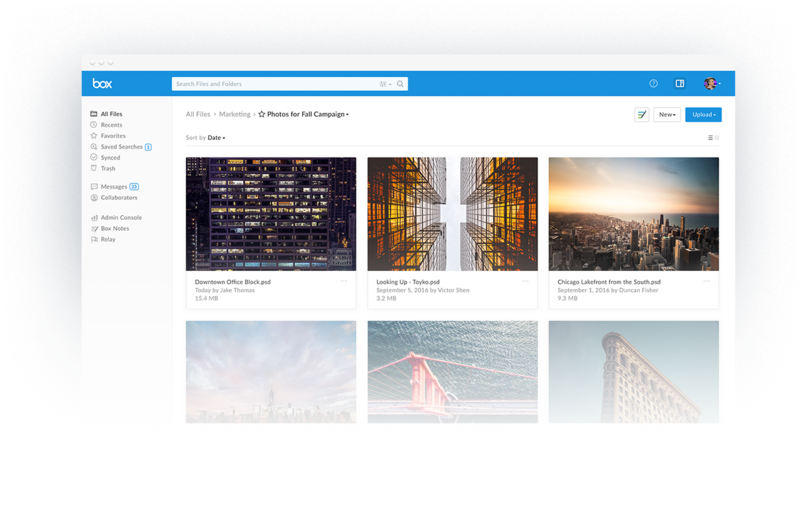 Keep wildly productive wherever you are with all your content at your fingertips, preview new rich content types and instantly find the files you need, all without compromising security. Supercharge real-time collaboration with an all-new Box Notes, where all your notes are one-click away and a desktop experience that works even when you're offline. Join the revolution against repetitive tasks with Box Relay, an integrated, individually customizable workflow tool that keep teams humming. In the completely updated Box Files experience, keyword-less search lets users find what they're looking for in record speed. Plus, an all-new viewing experience puts the spotlight on phenomenal content like 3D and 360º images, as well as HD and 360º video – all with the incredible user experience businesses expect with Box. And with the new Box for Desktop app, every file you have on Box is waiting to stream to your desktop. Powerful work starts with collaboration. The updated Box Notes app has a sidebar view to access your recent notes, and the ability to collaborate in real-time, all with a simple click. 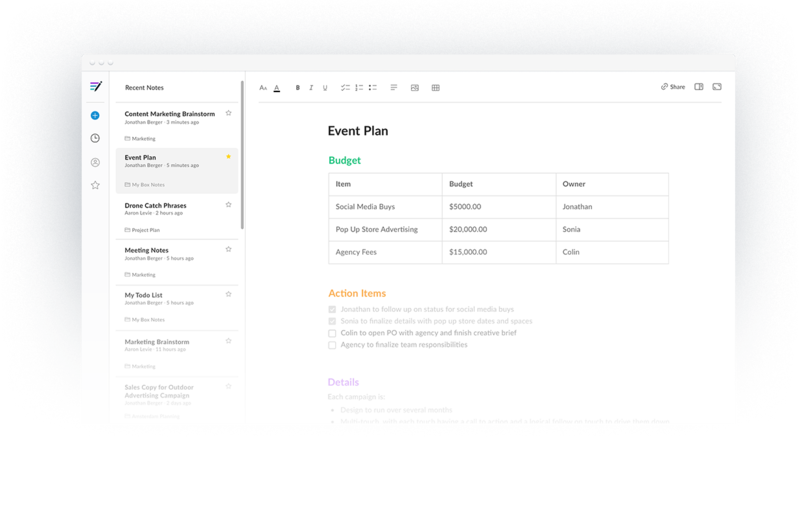 An all-new desktop app lets you take notes offline, enabling work and collaboration to continue uninterrupted. Take the guesswork out of making a game plan. Box Relay empowers teams to initiate and automate daily work with customized, intuitive workflows. 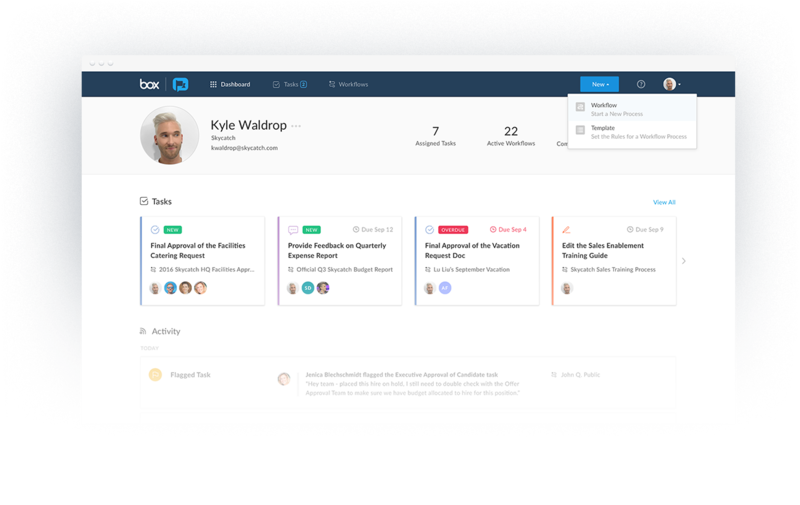 With this simple drag-and-drop interface, you can streamline routine tasks and ensure work gets done easily and on time.